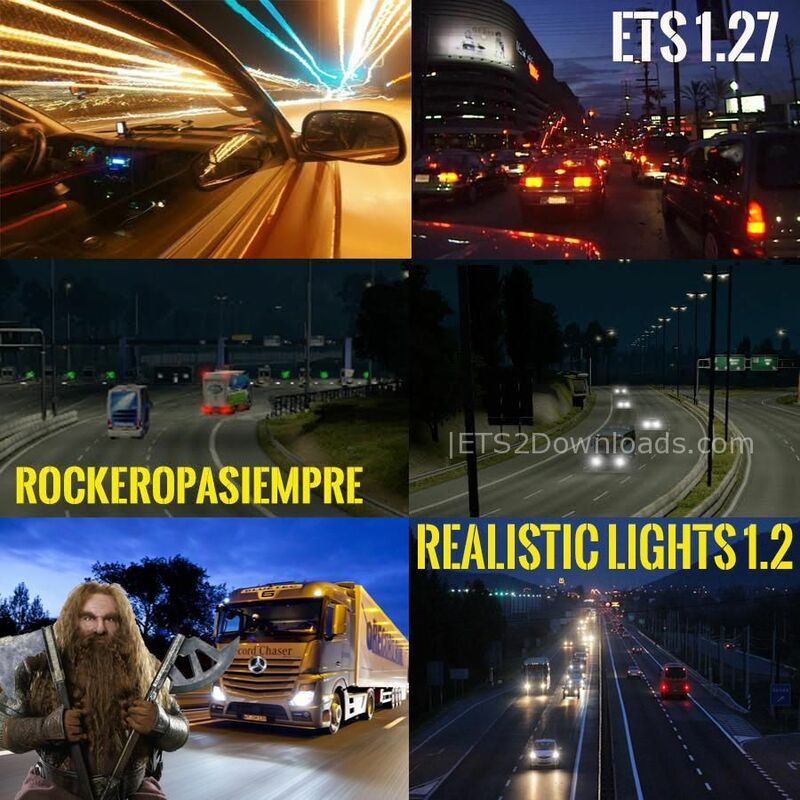 This mod touches virtually all traffic lights: It acts on the headlights of the vehicles, also of the rear of all type: Trailers, vehicles, flashing lights, red taillights, brake lights and much more showy and with a wide spectrum to be able to see them at a greater distance. Moreover, the flashing has been reinforced to have a more powerful light beam, as well as red taillights and brake lights. Beside, it also affects the lights of the street lamps and the lights of the garages (outside of the own gas station).